The B&W P9 Signature are an expensive pair of headphones, with every last penny going towards providing the best acoustic experience possible. They’re not filled to the brim with extra features, instead choosing to offer nothing less than a fantastic level of sound quality, and they shine when given high-quality music to sink their teeth into. Headphones, in some ways, are like wine, and Bowers and Wilkins new P9 Signature are the equivalent of a luxury bottle you’d fork out for at the fanciest of celebrations. At the budget end of the spectrum you have budget, supermarket own-brand wine. It’s cheap and it gets the job done, but it’ll do so in a clumsy, unrefined way, like cheap headphones that play music with all the subtlety of a bull in a china shop. Spend a little more and you get a lot more quality quite quickly. Wine loses its harsh edge and gains subtler flavors, and headphones lose their overbearing bass and gain more detail. But what happens with both wine and headphones after a certain point is that diminishing returns set in. You’ll see a massive jump in quality between the budget versions and more mid-range offerings, but get into the realm of luxury and the distinctions become much more subtle. 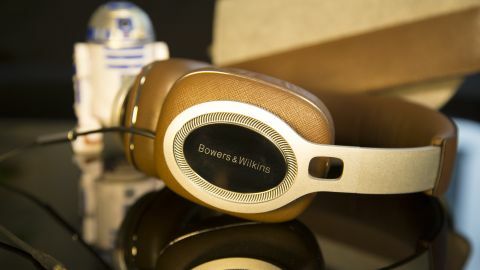 Well, that’s the best description we came up with of the Bowers and Wilkins P9 Signature headphones after several months of exhaustive testing. If you’re looking to spend $899.99 (£699.99/AU$1,400) on a pair of headphones, then there are few others out there that will match the P9 Signatures for detail and acoustic balance – but you should know that you can save yourself money by getting a cheaper pair of cans without too much of a compromise on sound quality. The B&W P9 Signatures are a simple pair of headphones designed with the single-minded aim of providing a fantastic level of sound quality. They don’t come with bells and whistles such as wireless connectivity or noise-cancellation. Instead you get a simple pair of headphones that are solidly constructed and should last you for some time. The one modern flourish B&W has allowed the headphones is an inline remote for controlling your music, but you have the option of removing this by switching out the detachable cable if you want to minimise signal noise. The cable itself is attached via the same mechanism that we loved on the B&W P7 Wireless headphones. You detach the left magnetic earcup cushion to reveal the cable port, and when reattached the cushion completely hides the plug. It’s a lovely neat solution. As well as the two cables included, B&W has also promised that a Lightning jack-equipped cable will be coming in the future for iPhone 7 owners lamenting the loss of their 3.5mm jack. The magnetic ear cushions are a little stiff out of the box, which caused some trouble for our glasses-wearing reviewer, but they softened up after a couple of weeks of use. Aesthetically we feel the P9 Signatures aren’t quite as stylish as the rest of the B&W lineup, which includes some of the best-looking headphones out there. The P9s, in comparison, look more bulky and plasticky, although this is hardly a deal-breaker. A final point on the form factor of these headphones is that they’re probably at the edge of what we’d consider portable. There’s a lot of technology built into these cans, and the result is that they’re very bulky, and moderately heavy. We personally had no trouble using them while out and about, but if you prefer your headphones light and portable then these might not be the pair for you. Refined and subtle, the B&W P9 Signatures offer a simply stunning level of detail. Maybe it’s down to the fact that the headband is decoupled from each ear or the angling of the transducer, but all we know is that they sound simply excellent. The first moment we realised that we were on to something special was during a fairly innocuous listen of the track Manifest by Comeback Kid. What's normally a mess of distorted guitars and frantic drumming had a great amount of separation and detailing. We could hear each guitar track layered over the others, but what was most impressive of all was the way the harmonics of the cymbals were audible. It was such a minor detail, but it was only after we heard it that we’d realised how rarely you’re able to discern such subtle acoustic flourishes outside of a live setting. Again and again we found similar details uncovered by the P9s in tracks that we’ve listened to dozens of times before. We could hear every little detail of Regina Spectre’s voice in Laughing With, every squeak of a missed note in Left Handed Kisses by Andrew Bird. The P9s achieve this detailing through an unflinching commitment to accuracy. These are not a pair of headphones that will paper over poorly recorded music, and they don’t cloud the sound with any undue emphasis on certain parts of the frequency spectrum. It feels like a completely flat response. Bass is present but never overwhelming, and mids and highs are similarly balanced. The downside to this is that the P9 Signatures won’t do much to help badly recorded, or heavily compressed music; you’ll really benefit from using them to listen to higher-quality music of at least CD standard. So too do the headphones reveal big differences in recording quality. Play a track that’s been cheaply recorded and mixed and the P9s won’t offer much help. They’ll still be more than proficient, but you’ll get more out of them with higher-quality recordings. The bottom line is this: if you prize audio quality, and listen to high-quality recordings contained in high-resolution tracks, then the P9s are for you. Those who listen to standard quality music streams will certainly see a benefit, but it might not be significant enough to justify the price premium of these headphones. We’d be hard-pressed to recommend a better-sounding pair of headphones at this price point. The P9 Signatures' sound detail is exceptional, their frequency response feels flat in a very good way, and they allow you to uncover new details in tracks you thought you knew like the back of your hand. They might not include a huge host of features, but the inline remote is useful, the detachable cables are well integrated, and the headphones are comfortable to wear for long periods. We’d be remiss if we didn’t mention the P9s' exceptionally high price, and if you’re considering purchasing these headphones then you should know that almost every penny is going towards sound quality, rather than non-essential features. Noise cancellation, wireless functionality and portability can all be had on much cheaper models. The sound quality won't be nearly as good, but depending on your listening habits these features might be more important to your overall enjoyment. After all, what use is amazing sound quality if you can’t hear your music without noise-cancellation on a noisy bus? You’ll also see less of an audio benefit if you tend to stream lower-quality music. The B&W P9 Signatures are simply some of the best-sounding headphones we’ve ever used. They have a tight, refined sound that offers an almost unmatched level of detail. The fact remains that they’re a comparatively feature-light pair of cans. If you want to spend less then you can get a much more portable pair that’ll be better suited to the morning commute or a plane ride thanks to additional features like noise-cancellation and Bluetooth connectivity.